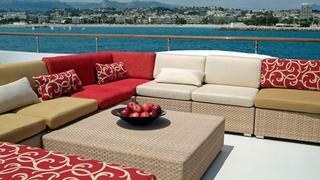 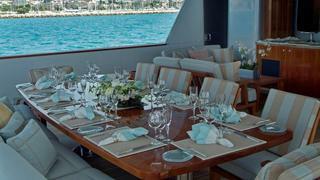 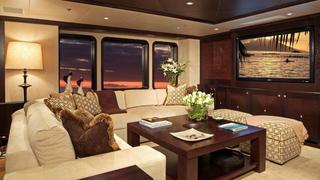 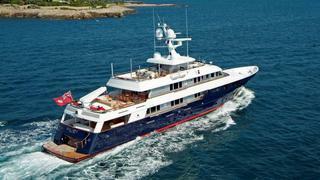 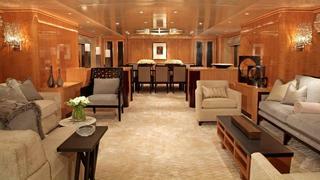 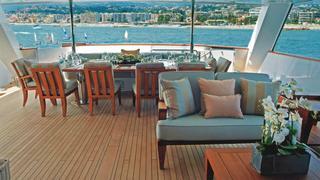 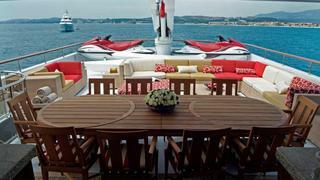 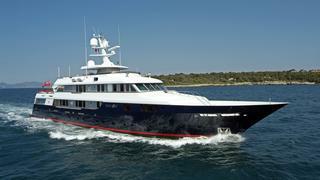 HELIOS 2 is a highly pedigreed yacht, blending modern and classic styles. 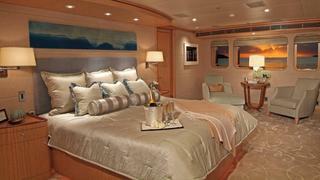 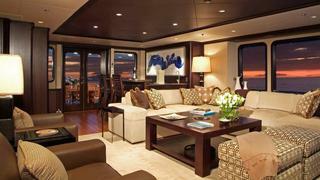 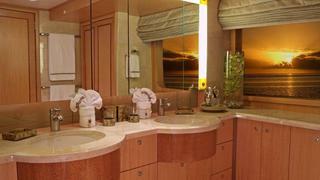 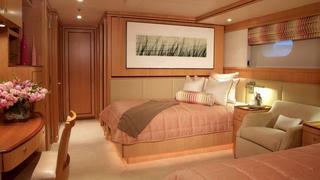 Accommodations include five spacious staterooms with three staterooms with king beds and two staterooms with queen beds. 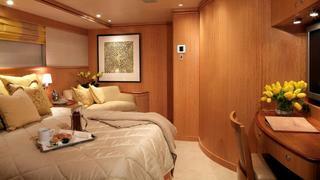 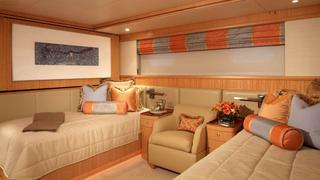 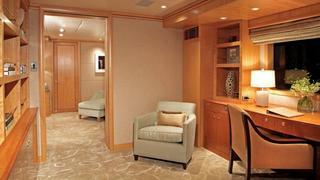 Two of the kings convert to twin beds with two Pullman berths in each of these staterooms. 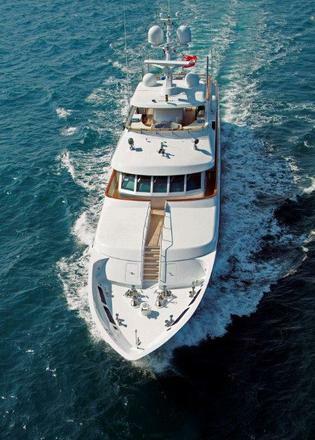 Additional amenities include a wide assortment of water toys, exercise equipment, large tender, shade for alfresco dining, multiple areas for sunbathing and a Jacuzzi.